Marc Anthony in Montreal or Quebec City? 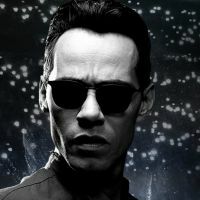 Inform me about the next events for Marc Anthony. Enroll yourself to our priority waiting list for Marc Anthony to be alerted when new tickets are available. Filling this form doesn't engage you to any purchase. Marc Anthony drops by Montreal on September 21, 2012, with his tour Iconos. The show will take place at the Amphitheatre of the Olympic Stadium in Montreal. This show is in conjunction with the album Iconos, his 11th career, released in 2010. This will be the very first show at the Amphitheatre of the Olympic Stadium, a new configuration of the stadium which allows a crowd of up to 15,000 spectators. Do not miss this wonderful latin dancy evening with Marc Anthony!